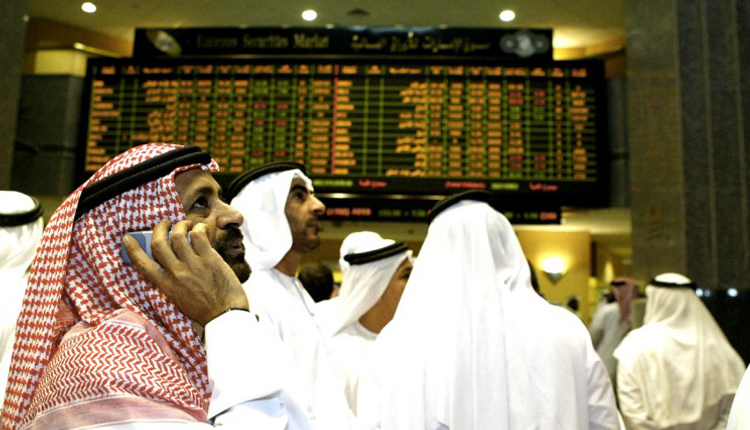 Most major Middle Eastern stock indexes opened lower on Wednesday, with Saudi dragged down by a slew of weak earnings, while banks weighed on Qatar for a second consecutive session. Saudi’s main index moved 0.2 percent lower, pressured by an 8 percent fall in Savola Group, which was the biggest drag on the index. The kingdom’s largest food products company posted a quarterly loss compared to a year-ago profit. Arqaam Capital called Savola’s results “disappointing” and said revenues were impacted by continued weakness in food and retail volumes as expat exodus weighed on food consumption. Market heavyweight Saudi Basic Industries Corp also fell by 0.8 percent, with oil prices dropping as rising output and U.S. sanction waivers that allow Iran’s biggest buyers to keep taking its crude reinforced the outlook for a well-supplied market. Elsewhere, Asian shares lost steam after Democrats won control of the U.S. House of Representatives, boosting the party’s ability to block President Donald Trump’s political and economic agenda. Abu Dhabi’s main index edged 0.2 percent lower, dragged by heavyweights First Abu Dhabi Bank which dipped by 0.3 percent, and Aldar Properties with a 0.6 percent fall. Energy firm Dana Gas fell 0.9 percent in early trade. The United Arab Emirates-based company appointed Jassim Alseddiqi to its board of directors after Adel Al-Awadhi resigned. Qatar, which has been the best performing market in Gulf this year, posting gains of about 22 percent, was bogged down by its bank stocks for the second day in a row. Qatar’s index was down about 0.1 percent. Qatar Islamic Bank shed 1.3 percent and Masraf Al Rayan dropped 0.6 percent.